a wonderful 'good mail' package came today from my sister-in-law, christie. so clever and cute. i adore everything in it. 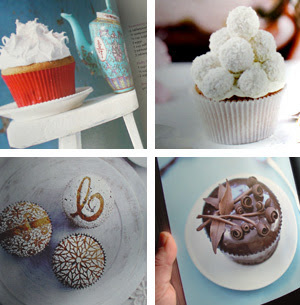 this cupcake book is amazing by the way. i'm already planning shindigs in their bitty bitesized honor. 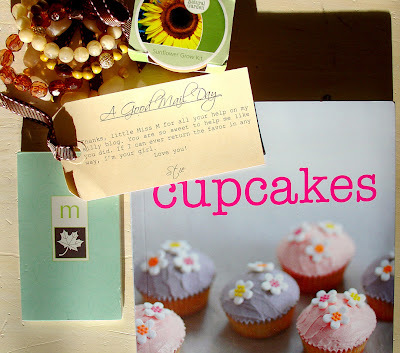 I HAVE THAT CUPCAKE BOOK! my wonderful husband climbed sky high in my estimations of him when he presented me with this book on Christmas morning......he's so clever! the recipes + styling are fantastic - have fun with it! spread the good mail love! how cute! I love unexpected packages.